QUESTION marks remain over a planned mega gas plant for Curtis Island off Gladstone, despite its winning state approval earlier this week. The $15 billion Shell and PetroChina project, through subsidiary Arrow Energy, would be the fourth major liquefied natural gas plant in the area, linking to gasfields in the Surat and Bowen basins via pipelines. Its construction would require 3500 workers and offer about 450 jobs once operational in stage one. The second stage would need another 2300 workers, plus a further 150 once finished. The approvals for the plant and two pipelines are three parts of a five-part plan, all of which need a green light by both state and federal governments. 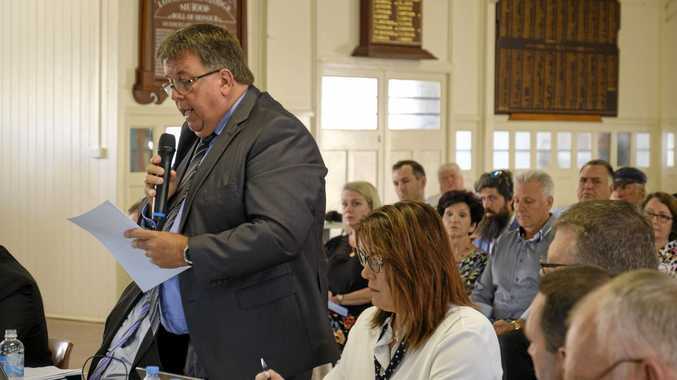 Its development of gasfields in the Bowen and Surat are still under consideration by the state. Once approved, it will be up the Shell and its counterpart to decide when to proceed. Industry speculation suggests Arrow would be better served to pump its gas into one of the three multi-billion-dollar gas projects already under construction rather than build its own plant. Shell has previously said a final decision would be made before the end of this year. Shell chief Peter Voser said in November that the company would postpone or consider alternatives to the Arrow projects if costs were too high. It is understood the energy giant is considering a number of options, including an approach to its well advanced peers, including Santos, BG Group, and the consortium of Origin Energy, ConocoPhillips and Sinopec which own Australia Pacific LNG. A spokeswoman for Shell said the company would "take its time". Any decision would need to be in the best interests of shareholders and the community, she said. The State Government remained positive the project would go ahead.